Yes I feel like holding on to the day a bit longer. Sunday always felt like a day to take time for myself, to recharge the senses, relax, create or do the things that make me feel whole again. Always a little sadness for me when wrapping up the day knowing Monday starts all over again. So for now I will enjoy the day. Take time for yourself, do what makes you happy! 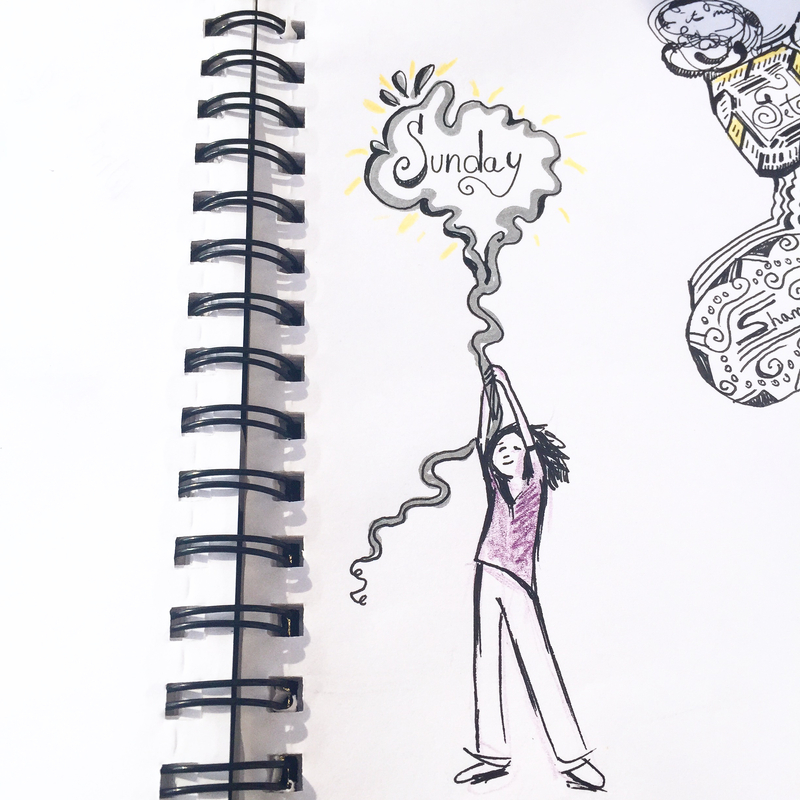 This entry was posted in Uncategorized and tagged #illustration, #imagery, #jensimaginings, #words, art, create, createveryday, doodle, imagine, paper, pen, summer, Sunday. Bookmark the permalink. Keep hangin’ on; Friday will be back before we know it, Jennifer! !